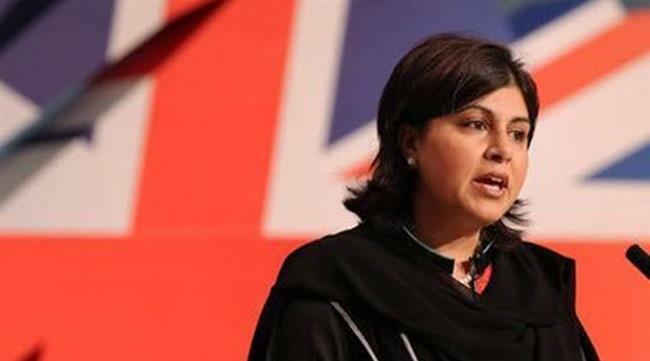 You can’t help admiring Sayeeda Warsi, born in Yorkshire, on March 28, 1971, to Pakistani immigrants, who became chairperson of the United Kingdom’s Conservative Party as Baroness Warsi, the first Muslim woman to serve in the cabinet from 2004 to 2014. She resigned from ministership after her party’s “morally indefensible” stance on Israel’s atrocities in Gaza. She has now written her story in The Enemy Within: A Tale of Muslim Britain (2018) in a style that you grow to love as you read on. The “freedom” that Britain gave to the Muslims to grow as they pleased caused them to absorb worldviews not available in the countries they had migrated from. Her critique of the British government’s weakening resolve to uphold multiculturalism is credible; but so is her regret at the British Muslim community’s growing resistance to assimilation. She is impressive in her objection to the way London planned to tackle the growing radicalism of the Muslim community. But you also can’t miss her objective account of the way British Muslims have aggressively nurtured a violent identity, setting them apart from the other non-Muslim immigrants. Britain’s multiculturalism was likely never understood by the Muslims succumbing to a transnational intensification of identity. It allowed communities to retain their identity without making them sensitive to the needs of “integration” with the host community. That it happened to the Muslims and not so much to the Hindus also points to the supra-state “feeling” that only the Muslims are gifted with a universal identity or “ummah”. This feeling went against “the promotion of difference, an invitation to experience difference, a commitment to raise awareness of difference and not simply to tolerate but to celebrate difference” that multiculturalism was supposed to inculcate. Soon enough, the Conservative Party under David Cameron rejected multiculturalism, citing it as “a doctrine that tolerated segregated communities behaving in ways that run counter to our values” and what Cameron called “muscular liberalism”, which Warsi thought was an approach that sounded like a “we-need-war-to-find peace” doctrine. In 2005, Prime Minister Tony Blair too ditched multiculturalism in favour of “integration”. This was triggered by 7/7, 2005, when a band of Pakistani Muslim terrorists killed 52 people of 18 nationalities resident in London. The “freedom” that Britain gave to the Muslims to grow as they pleased caused them to absorb worldviews not available in the countries they had migrated from. Britain’s Pakistanis being the single majority group among Muslims there, have distanced themselves not only from the native British population but also from the people back home. Just as Britain is reacting to the radicalisation of the immigrant Muslim, Pakistan is reacting to the populations pushed into the country by war in Afghanistan. The funds and warriors — that came from the Arab world and radicalised the madrassas from where Pakistan culled its covert warriors — had the same effect. Now in Pakistan you can get scared talking to your cousin visiting from London the same way you get the heebie-jeebies talking to the local mullah demanding death for the Ahmadi community.